Mind the LHS ones and the ABS sensor ! I did consider that, I haven’t tried it but my thinking was that the pinch bolts pinch onto the spindle, they don’t reduce the diameter of the spindle so for that reason I can’t imagine they’d be able to hold onto bobbins. I’ll give it a try today and have a much better look. I loosened off and removed the pinch bolts, they now rotate with the spindle but won’t come out, could they just simple be a press fit and need a good proper pull out? I can’t get a good enough grip to pull them. Poor design! There’s definitely not a cap hiding a bolt. Don’t have any that are big enough, what a piss take! I’m trying to find them online so I can compare but all I can find is the usual run of the mill bobbins that have a nut. Did you try this? Are they not just connected with a threaded rod through the axle? Someone replied on the FB page saying he had them and that they just screw on. so I put a rag round them, used a jubilee clip right and then tapped that, it came loose. Removed it revealing the usual nut. I tried to do the other side but that just turns and turns and doesn’t come away like the first side I did. 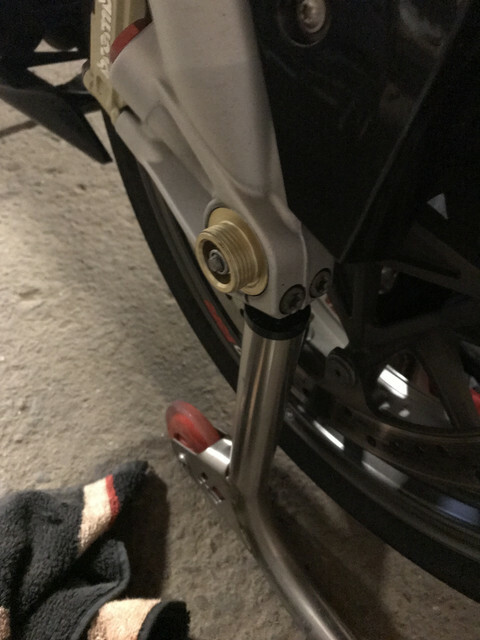 If you try and undo undo then it nothing happens, it just spins and spins, if you turn the other side by hand it turns th me threaded bar and nut, I’ve tried doing that whilst slackening off the nut and nothing. Unbelievable. 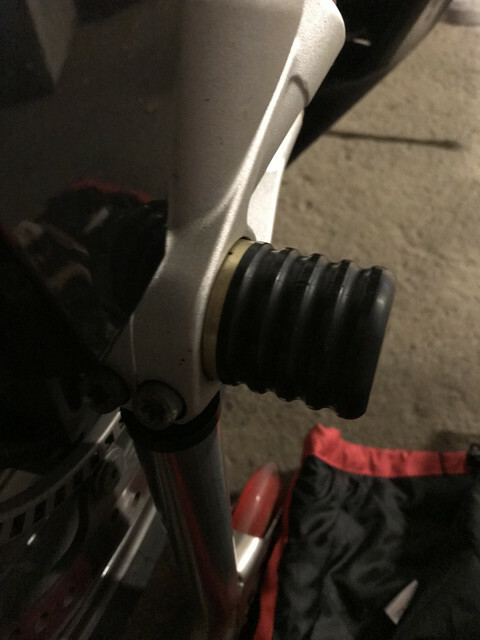 Right, I managed to undo one side, they’re both screwed on (someone confirmed this) so I stuck a rag on one side, jubilee clip on tight and tapped that and it came loose. So I managed to get one side off. Problem now is the other side doesn’t come loose, when you turn the bobbin it just turns along with the gold coloured bit it attaches to, when you turn these the threaded bolt and nut that you can see on the side that I removed the bobbin just turn freely. If you try and turn the nut it doesn’t move the bobbin on the other side though. When you try and undo the nut nothing happens, it turns but it doesn’t matter how long you do it for it doesn’t move, all I can think is then nut on the other side is just turning as well so it won’t come loose, I’ve tried everything. Can’t suss out what’s going on.